This mala necklace has 108 beads with mala and Buddha symbol. It is believed that each bead can evoke an energetic frequency. It has a range of significance across many different disciplines and cultures. 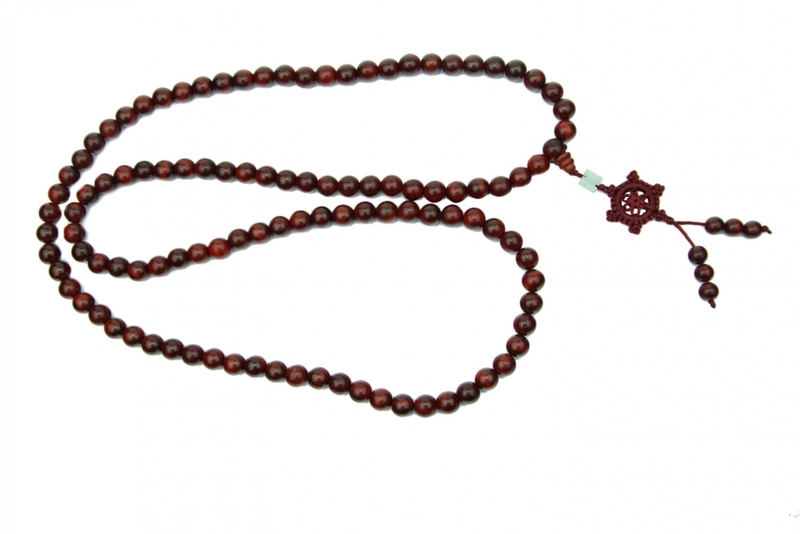 108 Bead Mala is used as a tool for meditation. The 108 bead mala necklace is the medium to set intentions and manifest. You can use this 108 bead necklace either as necklace or tool when you recite Buddha script. The 108 beads are made made of redwood. Each of the bead is approx. 3/8" in diameter. The overall length of the necklace is approx. 40". See more feng shui pendants.